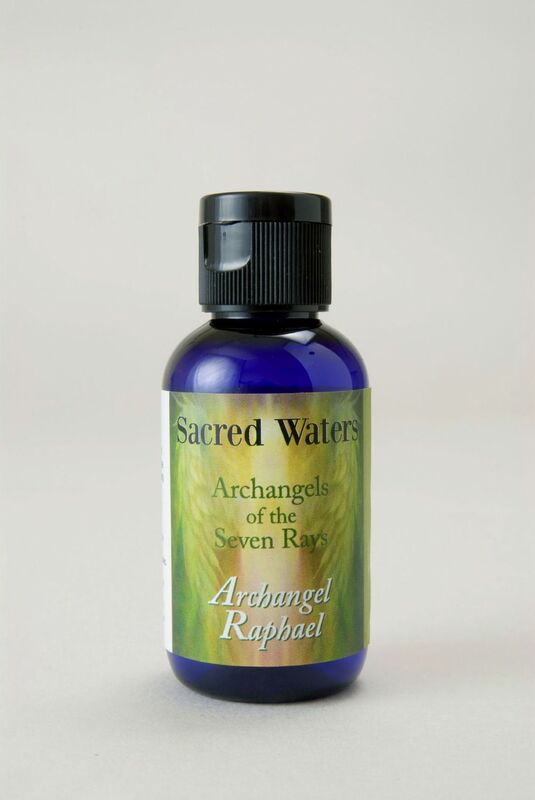 Embrace the enchanting energy of the Sacred Waters of Archangel Raphael who serves on the green ray of abundance, harmony and healing. Embrace the enchanting energy of the Sacred Waters of Archangel Raphael who serves on the green ray of abundance, harmony and healing. His energies soothe all physical senses, induce calmness and ease any feelings of restriction. Raphael is beneficial to call upon by those in the healing profession, whether conventional or complementary. A magical formula containing the aroma of Clary Sage, Lemon and Pink Grapefruit. Floral Water. Holy Water. Gem Essence of Emerald.